Designed to showcase the complex and alluring aromatic profiles of the popular American ‘hop-forward’ IPA beers, preserves a frothy head, enhancing the taste and mouth feel, presenting a comfortably wide opening for the drinker to savour each beer. Expertly crafted, tested and approved, the Spiegelau Stout glass accentuates the roasted malt, rich coffee and chocolate notes that define the Stout Beer style. The American Wheat Beer glass has been designed in collaboration with the award winning Michigan-based Bell’s Brewery, this specific drinking glass is for one the World’s most popular beer varieties, Wheat! This addition to Spiegelau’s beer glass range is set to become the new standard for enjoying premium wheat beers. The new glass offers the best wheat beer drinking experience, delivering the best taste, aroma and mouth feel possible to enhance both American and Belgian wheat beers. 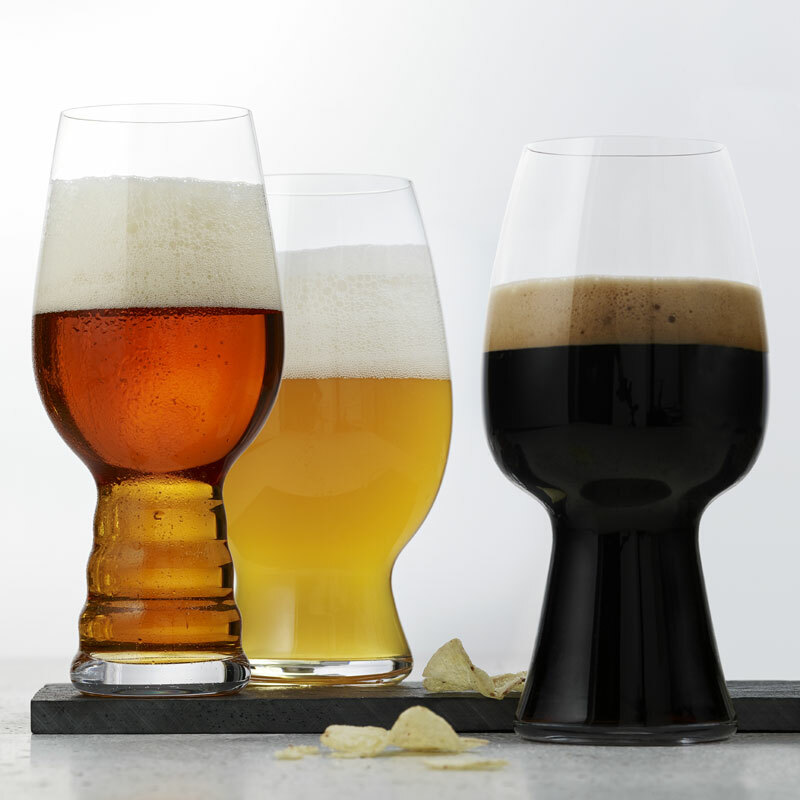 The Spiegelau Craft Beer glass set is a collection of glasses providing an unparalleled experience for the enjoyment of craft beers. Enjoy your own beer tasting experience, appreciate how brilliantly clear and functional these glasses are to enhancing the appearance, aroma and flavour of fine beer. 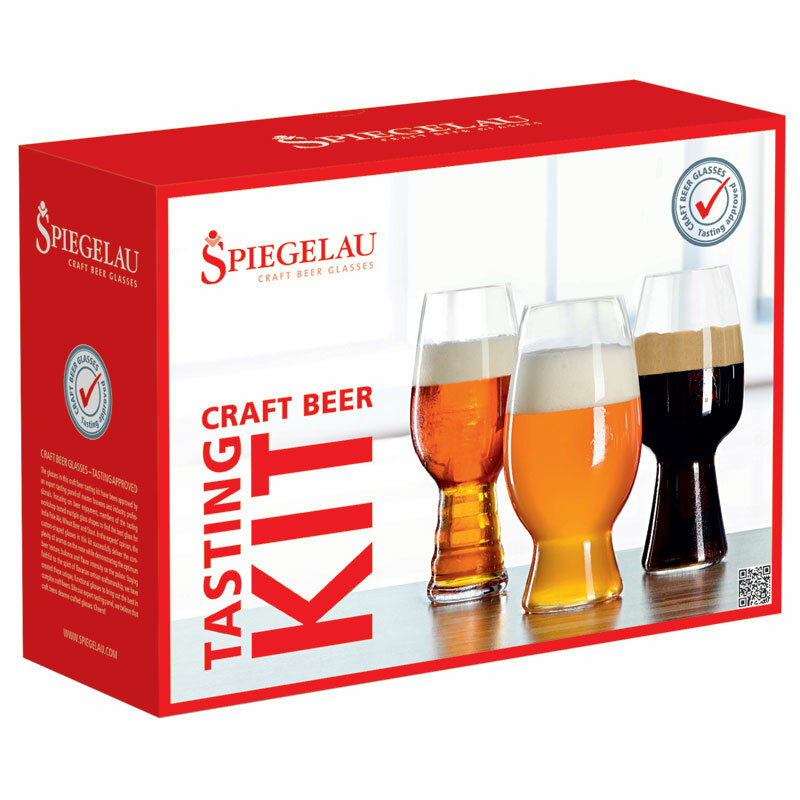 Machine Made in Bavaria Germany, this excellent Craft Beer collection represents Spiegelau's pedigreed 500 year commitment to excellence and aesthetic beauty in glass-manufacturing. Machine Made in Germany, Lead-free crystal glass, Breakage resistance & Dishwasher Safe. Makes a significant diffence to the beers, boxed set of 3 comes with poster. Excellent.